One of my favorite side dishes at Thanksgiving and throughout the winter is a colorful melange of roasted winter vegetables. They couldn't be simpler to prepare, or more delicious. A splash of olive oil, salt, and herbs, then let your oven do the rest. 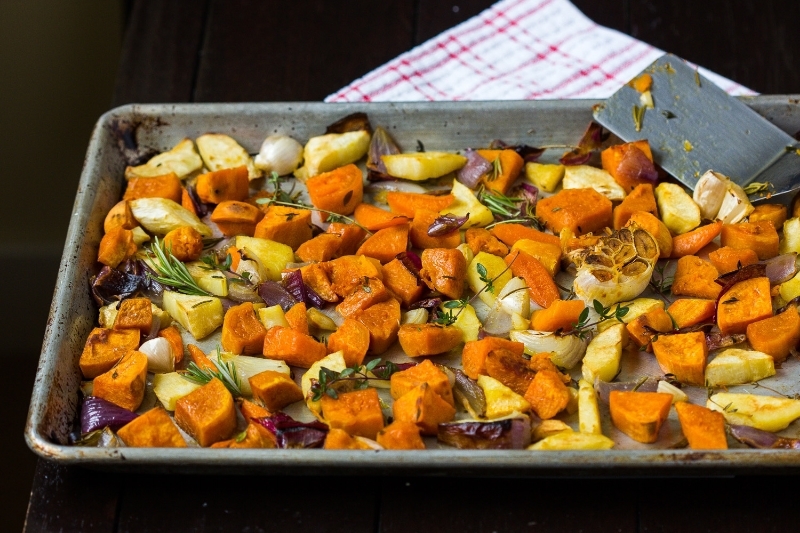 Make certain to use a large roasting pan so that you don't overcrowd the vegetables. They will steam rather than roast if you do.